Iran's minister of education has warned that any official or non-governmental organization (NGO) that uses educational guidelines from the banned 2030 Agenda for Sustainable Development will be "firmly dealt with." "In every meeting with senior education officials I have emphasized that not only should the Education 2030 Framework for Action be rejected but students should also not be taught any subject related to this document," Education Minister Mohammad Bathaei told the Parliament's official news agency, ICANA, on April 11, 2018. "Non-governmental organizations that go to schools with the intention of introducing some of these concepts will be firmly dealt with," he added. According to the report, Bathaei was reacting to "criticism from a senior religious leader in Qom about reduced hours allocated for teaching the Quran in schools." 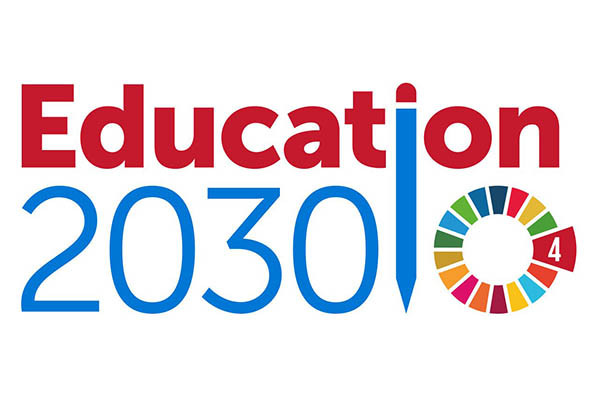 Adopted by UNESCO in 2015, the 2030 agenda aims to "ensure inclusive and equitable quality education and promote lifelong learning opportunities for all." The agency was entrusted to "lead and coordinate" the agenda with "governments and partners on how to turn commitments into action." The minister's warning comes nearly nine months after Supreme Leader Ali Khamenei forbade the government of President Hassan Rouhani from implementing educational guidelines from the 2030 agenda after hardliners launched a smear campaign against the non-binding guidelines. Iran's religious conservatives have falsely accused UNESCO of promoting homosexuality and condemned its guidelines for promoting progressive issues such as gender equality in schools. "The officials of the Islamic Republic look at the 2030 agenda not as a teaching tool or a cultural guideline but as a sexual textbook based on an alien ideology that has no psychological and sociological understanding of Iranian realities," said Said Peyvandi, a member of UNESCO's Peace and Education Commission, in an interview with the Center for Human Rights in Iran (CHRI) in July 2017.